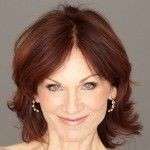 It’s a great honor and joy to let you know that I’ll be a guest on the Marilu Henner show on Friday, January 10, 2014 at 10:08am/PST to talk about my expert online dating tips for the New Year. Marilu has been an inspiration to millions of women throughout the world and I adore her. You may remember her from seeing her in over thirty films or six Broadway shows. Perhaps you remember Marilu from? and her hit TV shows, “Taxi” and “Evening Shade.” Marilu is also a New York Times Best Selling author of nine books on health, parenting, memory, and lifestyle improvement.? Her books have changed the lives of millions in her quest to make the world a healthier place. As we enter a new year filled with many resolutions, if you’re single, finding love is probably on your list. I’ll be sharing some of my best tips on how to create an Irresistible Profile to attract your dream date and will be letting you know which cliche’s to avoid in your online dating profile. You’ll learn the secrets on how to write an email to capture his or her attention. I know that Valentine’s Day for women is like the Super Bowl for men. I know that life can be stressful for singles leading up to Valentine’s Day and it’s our goal to help you with the tools you need to speed up your search, avoid the pitfalls of online dating and date safely on the Internet. The call-in number is 1-855-362-7458 and we’ll be live tweeting @TheRealMarilu and @JulieSpira so send us your questions about dating, love and romance in a Web 2.0 World.